Rose was sitting by herself on the jump seat near the console. She was quietly reading a book while the TARDIS drifted through the time vortex. She'd been up for about three hours, had since had breakfast and was waiting for the Doctor to tell her his ideas for what they should do. So far she hadn't seen him so she'd found a book, sat down and waited, figuring he'd be in the Console Room sometime or other. She was engrossed in her book so it was a shoc k when she suddenly felt a tap on her shoulder. She gasped and looked up at the Tenth Doctor. "Sorry," he said sheepishly. "Didn't mean to frighten ya." "No, it's alright. Just glad it was you," Rose said. "I was waiting for ya. Where ya been?" In response, the Doctor pulled a folded sheet of paper out of his pocket and handed it to her. Then he walked away while Rose stared at him in confusion. Rose waited until he walked out of the room before turning her attention to the paper. She unfolded it and found a letter. At the top of the letter were the words, READ ALOUD. Rose thought that odd but read the note aloud in a calm, clear voice. "My name is Rose Tyler and I accept the ALS Ice Bucket Challenge." "The what?" she said to herself before she read the rest of the letter. "Motor Neurone Disease is a horrible killer that must be eradicated and I have decided to do my part in eliminating this scourge." "I have?" she said. "Um…" she said, reading the letter again. 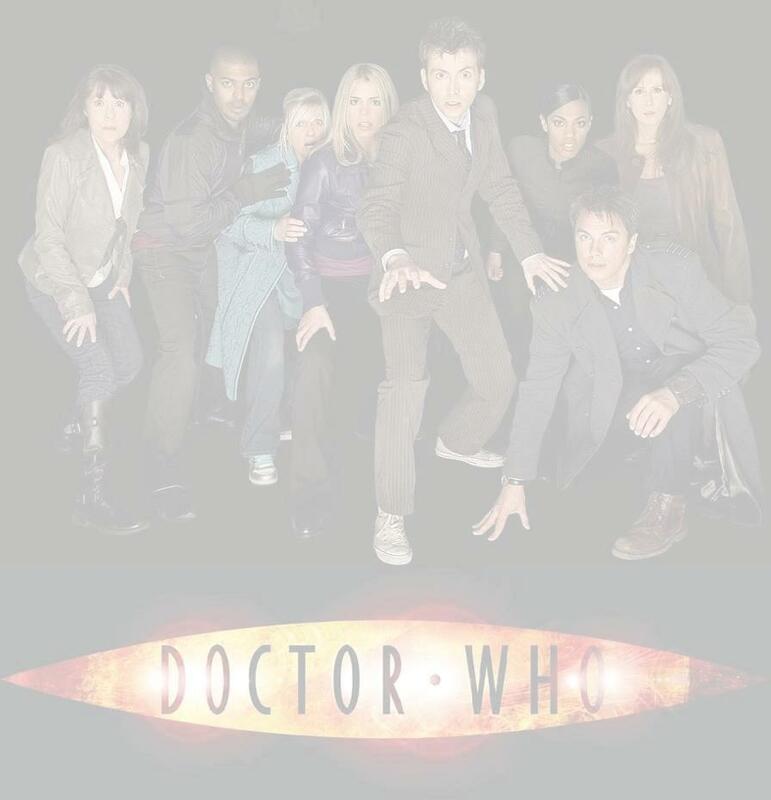 "I have decided to donate generously and I nominate Jackie Tyler, Mickey Smith and the Eleventh Doctor to do the same." That was the end of the note and Rose stared at the words, completely confused. "What does this even mean?" she said. She turned her head to call to the Doctor and her eyes bulged when she noticed the Doctor was sprinting towards her with a sloshing barrel of ice water on his shoulder. Before she could get away, the Doctor dumped the barrel of ice water onto her and Rose bellowed out a shocked scream as ice and water cascaded over her, chilling her skin to the bone. "YOU GIT!" Rose screamed as she hopped up and ran away from the wet seat, her body shaking. "WHAT THE HELL IS YOUR PROBLEM, DOCTOR? THAT WASN'T FUNNY!" "It wasn't meant to be funny, Rose. It's for a good cause," the Doctor said, putting the barrel down while Rose shivered and tried to get warm. "In 2014, there will be something called the ALS Ice Bucket Challenge for Motor Nuerone Disease. People donate to the charity, nominate others and get doused with icy water. "Well, why didn't you do it instead of tricking me into doing it?" Rose said through chattering teeth. "Because I was the one that gave generously after finding a winning lotto ticket and cashing it in. I did my part so you did yours. Besides, it gave me a bit of a giggle seeing you look like a wet hen." Rose balled up her fist to deck him but the Doctor snapped his fingers, there was a flash and a large purple duvet appeared in his outstretched arms. He walked over to his shivering lover and put it around her before pulling her close to him. "I'm sorry, I should have warned you first," he purred in her ear as he held her close to him. "But I thought I'd take the mick for a good cause. Am I forgiven?" "You better be glad you're so cute," Rose said, looking back at him. The Doctor chuckled and slowly turned Rose and walked with her out of the room towards the nearest hot tub. A/N: The Doctor has nominated his Eleventh self to take the challenge so stay tuned for the next regeneration.